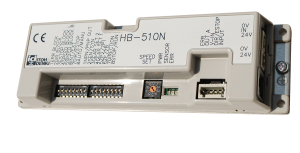 HB-510 is the latest generation of Itoh Denki’s built-in ZPA Logic Hybrid Driver Cards. The HB-510 is applicable to FP series high power unit as well as to FS and FE standard rollers. 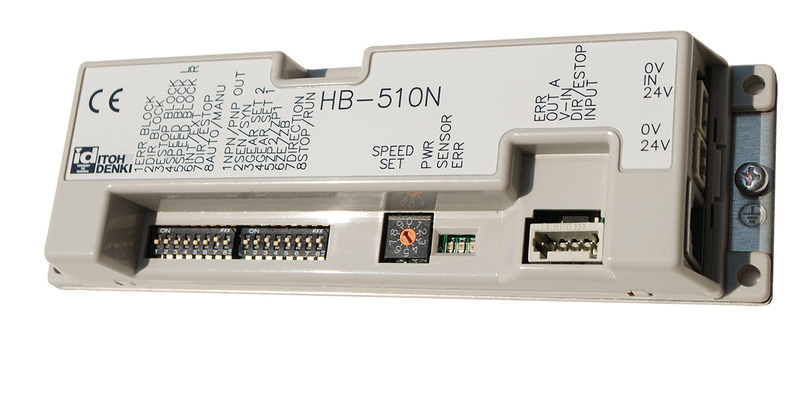 Having both slug (train) and singulated tote release mode along with sensor and jam timer functions, the HB-510 perfectly suits the most common ZPA conditions. In addition, the HB-510 conforms to RoHS directive for lead free design. It provides functions like flexible zone recognizing, synchronized speed variation, and stable speed to satisfy even the most diverse and more sophisticated automation needs. Also available for rollers with built-in brakes, HB-510B.